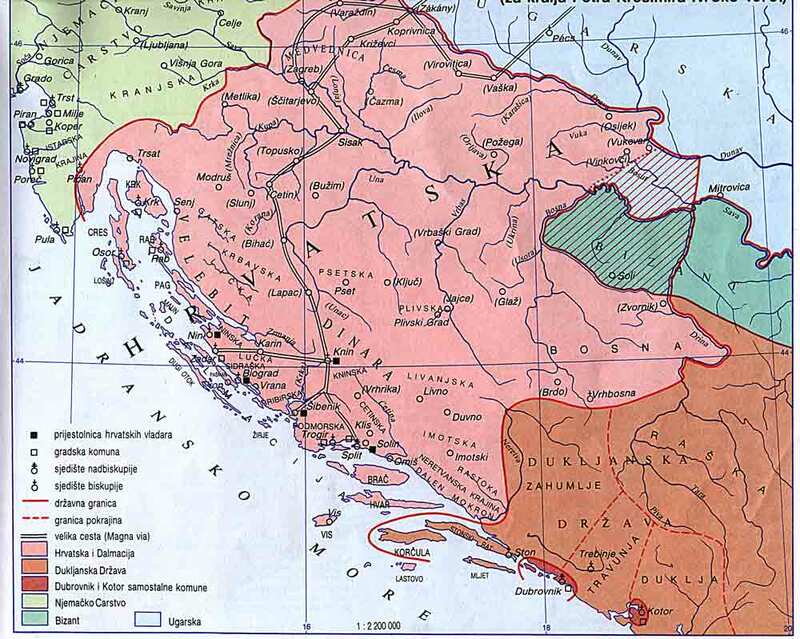 In other Slavic languages (including the Chakavian and Kajkavian dialects of Serbo-Croatian), the term has other meanings, either a territorial name (cf. Krajna in Poland, from Old Polish kraina, meaning region, borderland, extremity) or word with meaning "a land, landscape" (e.g. in Slovak, Czech or Sorbian). 1 2 Group of authors (1969). "Кра̏јина". Речник српскохрватскога књижевног језика, vol. 3 (in Serbo-Croatian). Novi Sad/Zagreb: Matica srpska/Matica hrvatska. p. 30. ↑ Group of authors (1972). "Krajina". In colonel-general Nikola Gažević. Vojna enciklopedija, vol. 4 (in Serbo-Croatian). Belgrade. p. 681.